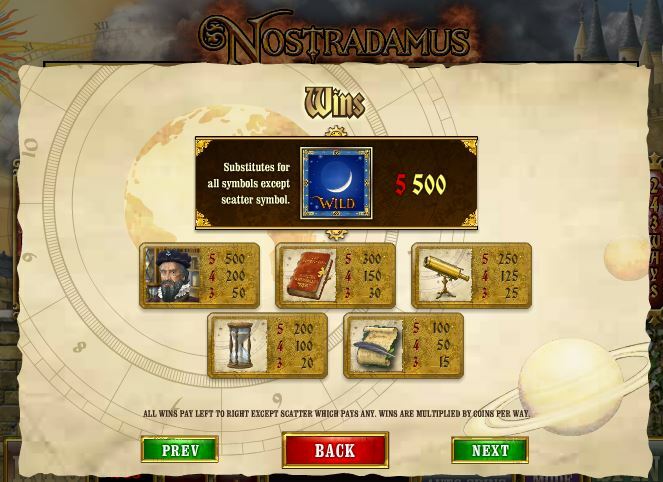 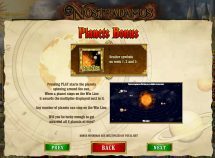 Nostradamus slot is an original Ash Gaming classic, the medieval world of books, globes and scripture being the theme. 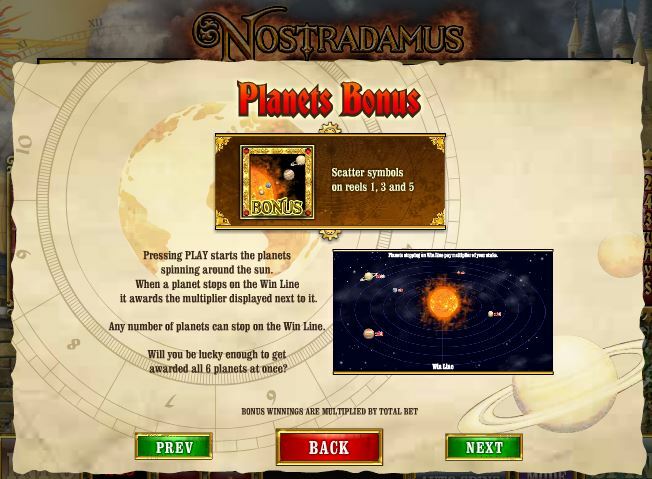 Appropriately there are mysterious moonlit Wilds on all reels with no multiplier and planet scatters on reels 1, 3 and 5 award a Planet Bonus, where 6 planets orbit round the Sun and when they stop award the number x stake at that position, and if all 6 stop a good reward is to be had! 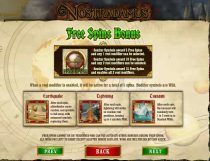 If 3 Globe scatters appear, you are awarded 5 free spins where you can choose an enhancement: Earthquake will shake some losing symbols off the reels and replace them with better ones, Tsunami can turn 1-3 random reels wild and lastly Lightning which will strike up to 4 random reel positions and turn them wild. 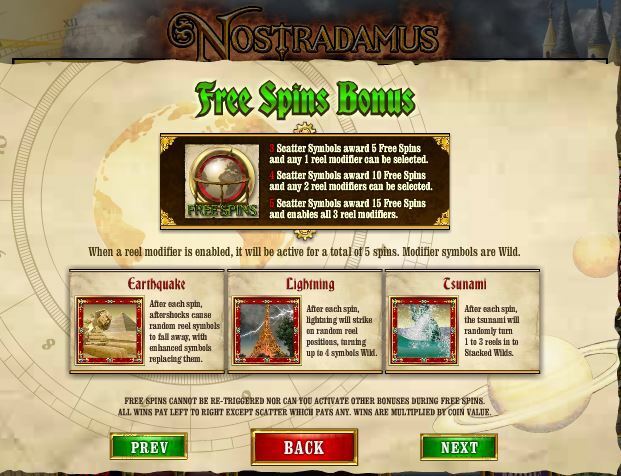 4 scatters awards 10 free spins and you can choose 2/3 of the enhancements and all 5 would award 15 free games with 5 spins of each of the 3 enhancements. 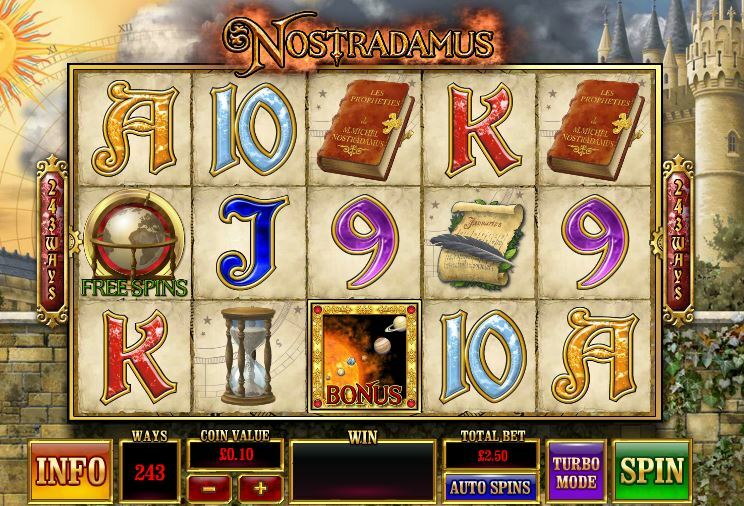 Can you predict your winnings better than Nostradamus?